I am a chronic planner. When my universe is out of order, I am easily overcome by stress and anxiety. It isn’t necessarily the busyness of life which is stressful, but the sense that I’ve lost control of the busy. Seriously? That is what I thought was important to express in that moment?! I’m lucky my husband didn’t decide to call the whole thing off! Maybe this urge to plan is normal – human nature? We are time-bound creatures. We have a finite amount of time on this earth, and uncertainty of the future can cause great stress. Thus, we cling to this perceived need to plan and control. Yet as we dispel so much energy trying to control the future, what are we missing here? The Greek for “live” is zao and its definition and biblical usage is more than simply not being dead. It is a verb; it is to be among the living, to enjoy real life; to experience true life, active, blessed and endless in the kingdom of God; to have vital power of the soul. The Greek for “believe” is pisteuo and its definition is to commit to, put trust in; to place one’s confidence in. So, we put our confidence in Jesus and experience real life… not at some point in the future, but now! Jesus’ message is bigger than a hope in life after physical death; this constrains God’s work by the human understanding of time. By placing our trust in God now and always, we have hope of new life here, and with it the freedom to just love! Jesus leads through love. His time on this earth was not one with schedules and task lists. Instead, he was servant to all, ministering where need existed. 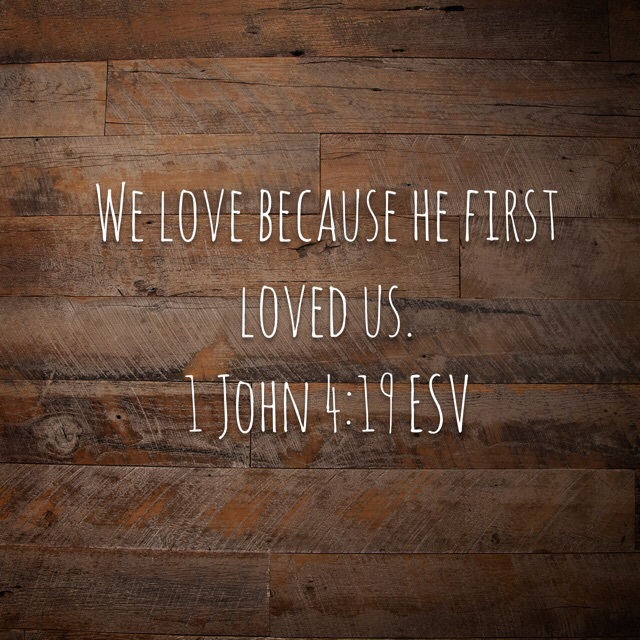 Jesus commanded us to love one another, and to do so by loving God first. Our journey is amplified when we are submissive to this command; in a state of constant surrender. Sometimes this requires that we step away from the plans we have for ourselves. God is constantly communicating with us, guiding us to align our heart and plans with God’s plan for us – ultimately, to love one another. Yet this requires discernment because the voices of the world – and sometimes our own objectives – are loud and confusing. Sometimes we simply trust that God will create a path to maneuver through a crazy world. Trust requires lifelong commitment and each day – sometimes each minute – a turn to the cross. With this trust we find true peace and deep joy (vibrant life!) no matter our inability to control the world around us! Categories: Prayer | Tags: control, faith, God, planning, prayer, trust | Permalink.